This is my favourite recipe. 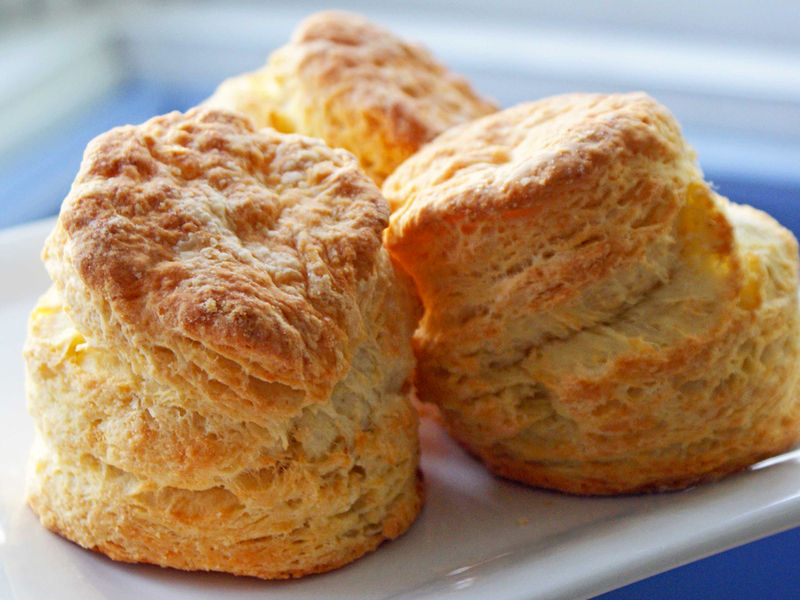 Nothing tops a fresh, flakey tea biscuit just as it’s coming out of the oven. These never last more than a morning at my house. It’s a Sunday morning “bakes” for us, and so easy for the kids to get involved. Preheat over to 425 F.
Slowly cut in butter until batter is course. Lightly flour a surface you can work on and knead the dough. Sprinkle flour on baking sheet. Role out the dough to about 1cm thick. With a cookie cutter, cut out rounds and place them on baking sheet. Brush with the egg-wash and they’re ready for the oven! Bake about 15 minutes or until golden brown. Let cool and top these with ANYTHING! Butter, jam, cheese, eggs…literally anything. And enjoy!